Apacer company release its fast-charging Power Bank B123 and B124 that has a capability to charge two smartphones at a time, anywhere or anytime you need it. 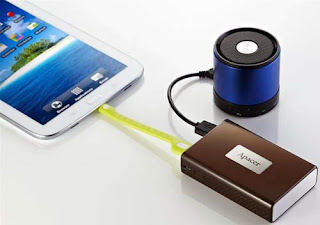 These two types of power banks with large capacity provide reliable and emergency power backups for smartphones, tablet PCs, Bluetooth speakers and other portable electronic products. Consumers no longer need to worry about missing calls or beautiful moments that cannot be captured due to lack of power. The B123’s simple elegant streamline shape prevents itself from bump-caused scratches when stored together with cell phones or tablet PCs. Since it weighs only about 182g, it's compact, portable and easy to carry. Thanks to its high electricity capacity of 7800 mAh, the B123 can charge a smartphone for about 3.5 times. 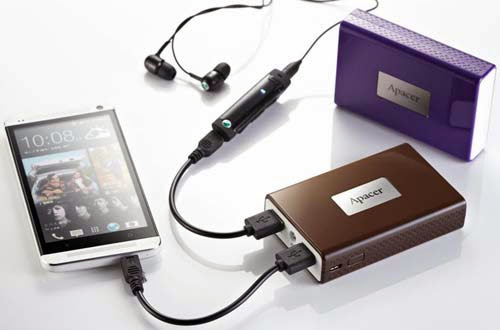 In addition, with double USB outputs, it can charge two mobile devices at the same time. The B123 is available in two colors, including Prudent Brown and the elegant Fashion Purple, appealing and eye-catching with the silver metal logo. The upcoming product B124 is equipped with an 11000 mAh high-capacity lithium battery, and is able to charge a smartphone for five cycles according to tests. 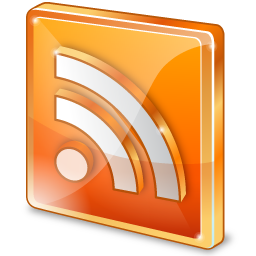 Users can enjoy limitless mobile communication and audio/video fun without worrying about power shortage during outdoor activities, meetings and trips. Consumers can easily view the remaining power and charging status through a built-in LED indicator or turn it into a flashlight, which is a practical extra function. With its refined silver and compact design, the B124 perfectly presents an urban yuppie style. It's not only a 3C product, but also a symbol of unique personal taste. 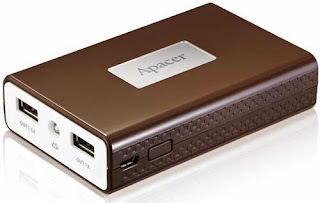 As indicated by Apacer, the market offers a great variety of mobile power banks. Thus, consumers should pay more attention to relevant specifications and certifications when purchasing to ensure that the products they buy are qualified and safe to use. 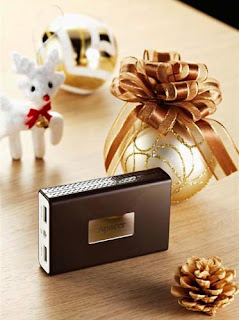 Apacer also points out that, in addition to a large capacity and highly efficient output, the newly launched Power Banks B123 and B124 are equipped with multiple protections against over-current, over-voltage, over-load and short-circuit problems, which ensures their safety for use. Moreover, they have obtained international safety certifications, such as CE/FCC/UN38.3, providing the most optimal service and experience for mobile business and entertainment. *Disclosure:An important note, we are just sharing this information to the public, provided by our source (Image Media Phils). 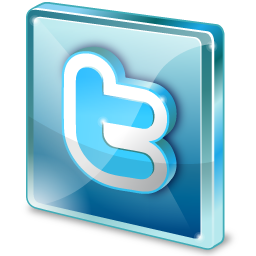 Apacer Info / Logos / Photos / Images has respective copyrights. 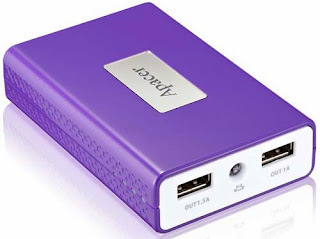 this would be a best bet for a portable battery pack to charge my tablet or smartphone! this is a must have travel pack gadget! thats what i need when my smartphone needed for quick and portable charge... thanks for this info. when will this be sale in the market?